Oasis of the Seas Wedding? Wedding Swag Bags (ie OOT bags) and Wedding Invitation - Warning Picture Heavy!! This is still very relevant - thanks for sharing and saving some of us the legwork!!! Really appreciate your detailed post, pictures and documents. Made our planning that much easier and gives us a sense of what to expect!!! 2019 bride and emailed Lori at lmitchell93610@yahoo.com for her welcome letter. Love all the other advice as well - thanks everyone for their input!!! Hello! 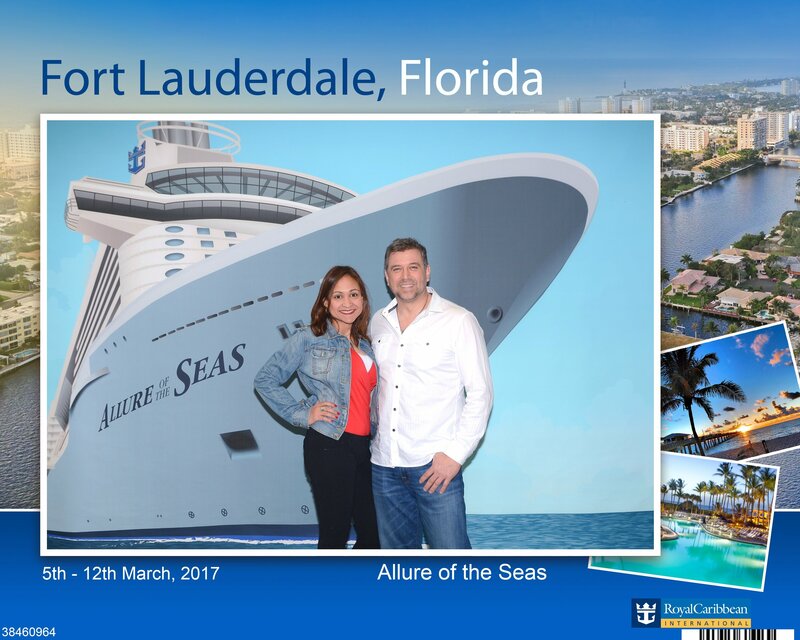 We are planning our wedding (2nd time for both of us) on August 4, 2019 (embarkation day) aboard Royal Caribbean's Allure of the Seas. I haven't done much thinking it's a cruise wedding and everything will take care of itself and have now turned to "all hands on deck!" We have 16 cabins and 36 people booked - expect to have about 50 people booked in total and and additional 25 or so join us for the wedding only (hence why we are getting married on embarkation day). Any tips from those who are also doing Allure of the Seas at Dazzles would be greatly appreciated! I am particularly worried about decorations, cake, DJ and photographer. For our wedding website: bought a domain and used someone from freelancer.com (started to do it with wix.com but don't have the time and freelancer is such a great option) For our invitations: These matched our colors (navy and silver) https://www.etsy.com/listing/633441447/white-and-navy-blue-cruise-wedding?ref=user_profile&frs=1 Depending on the cake, looking at these cake toppers (since we are including our children, ages 22, 20, 16, 16 and 11): https://www.etsy.com/listing/41090484/custom-cake-sitter?ref=user_profile Not sure if we are ordering programs since it appears no one uses them... Working on ordering favor bags from Alibaba and figuring out what to put in them...getting magnets for the guests cabin doors to coordinate cabin crawl 🙂 So much to do so little time!!! This is an old post - but soooo informative as I plan my own wedding! Given the OP didn't have a chance to update, I took the liberty of looking her up online and, as expected, she has a public profile in which she posted some of the pictures we were missing. I am so very grateful she decided to choose what she chose to share with us - has made my planning that much easier!! Thank you Christa!! !